Pilgrimage is one of the five pillars of Islam. Islam is a religion of ease. That’s why, this pillar is only for those who have health and money. Also, there’s a specific time for performing the rites of hajj (Pilgrimage) which is at the ninth of Dhul Haj month then followed by the feast. In the following few lines, Blue Ray will tackle the right way to perform the rites of hajj. Firstly, the pilgrim must have the intention and take a shower as a sunnah from Prophet Muhammed, peace upon him. 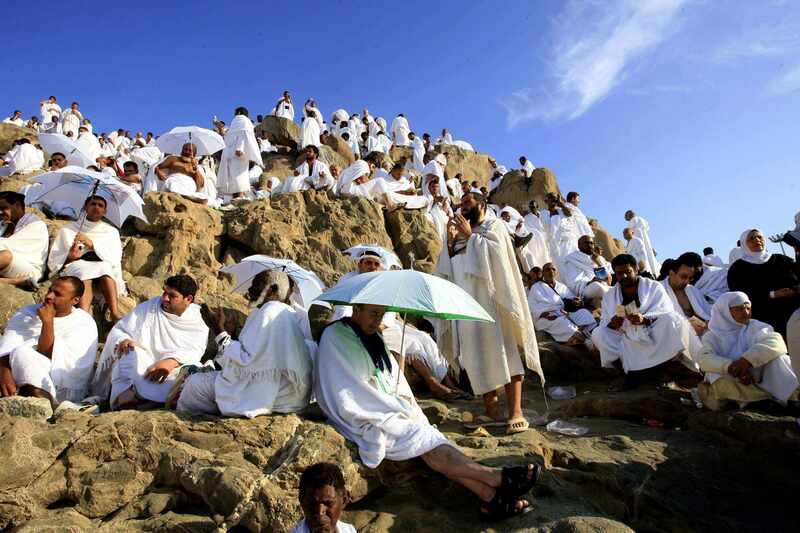 After that, the pilgrim goes to the places of ihram which the Prophet Muhammad, peace be upon him, has identified them. After ihram, the pilgrim goes to the haram to perform tawaf which is not an essential element of Hajj. It is for those who aren’t residents of mecca. Tawaf is the act of rotating seven times around the Kaaba. It begins at the Black Stone which will be on the left of the pilgrim and ends with it. After tawaf, the pilgrim performs the walking ritual which is a seven tours between Safa and Marwa and he can delayed it until after throwing the pebbles.. The eighth day which is the day of tarawih. The pilgrim goes to Mina and prays Zuhr, Asr, Maghrib, and Isha and shortening them. The pilgrim shall spend the night there. Also, this is not an essential element of Hajj. The ninth day, the pilgrim prays Fajr in Mina then heads to Arafat and prays Zuhr and Asr together. As Prophet Muhammad, peace be upon him said: “Hajj is Arafat”. Also, it’s worth mentioning that, if the pilgrim arrived at Arafat before sunset they must stay after sunset. However, if they arrived after that, it’s ok for them to leave anytime. After Arafat day, the pilgrim heads to Muzdalifa to pray Maghrib and Isha and stays there; as they will be in need of comfort. On the tenth day, the pilgrim heads again to Mina to throw pebbles which are seven pebbles then the pilgrim should sacrifice a sheep. After that, the pilgrim heads again to Haram to perform a final tawaf “tawaf al-Ifada” and makes the biggest removal of Ihram. But if they want to delay on of these steps, they can make the smaller removal of Ihram till performing the rest of the steps and remove the ihram. If you want to perform the Hajj rightly, you must know well the whole rituals of Hajj by reading articles or small booklets which explain it clearly.